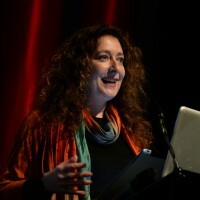 Power to the Pixel’s Liz Rosenthal will be attending the SXSW Film and Interactive Festival in Austin, Texas. Like many of the other premier international film festivals, SXSW focuses on discovering and supporting new talent. 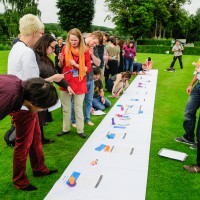 But what makes this festival truly unique is its emphasis on the interactive. 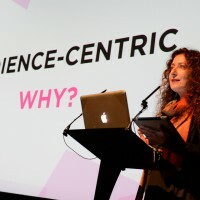 By bringing the tech and film communities together to discuss new ideas and the use of emerging technologies, SXSW functions as a breeding ground for innovation in the creative industries.As an invited speaker at the Film Conference, Liz will participate in the “Mentors: Producers” session on Tuesday, 17 March. The session will offer advice for independent producers on topics ranging from pre-production to distribution. Others on the panel include: Anish Savjani (Alexander the Last), Kathy Rivkin (Rhino Entertainment), Justin Barber (Medicine for Melancholy), and Howard Gertler (Process). The event will be hosted in Room 18A at 11 am.